Huawei Nexus 6P is the latest flagship android phone from Google. Few days back Google launched the new Nexus 6P android smartphone in collaboration with the Chinese manufacturer, Huawei. The phone is new in the market and most of Nexus fans already booked the phone and waiting for the device. And some lucky tester already got the phone and looking for the method to get the root access on the phone. 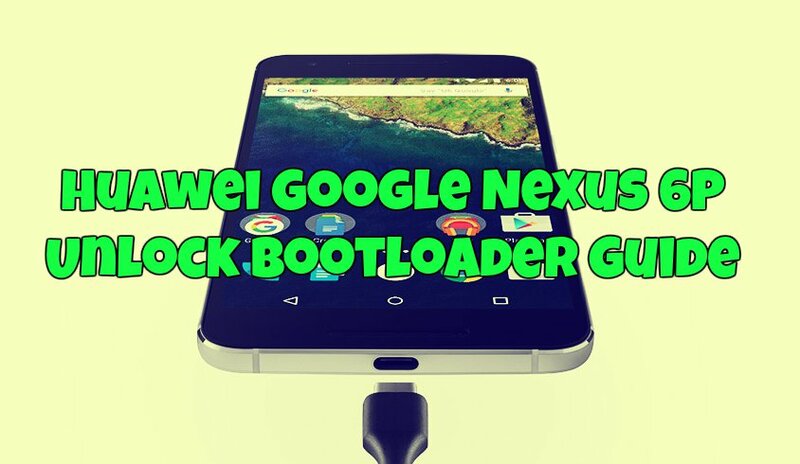 But to get the root access in the phone first you have to unlock bootloader of Nexus 6P. Without unlocking, you can’t flash any ROM on not even get the root access. Once you unlock the bootloader on your device, you can install a custom recovery through which you can flash custom packages onto your device. To achieve Nexus 6P bootloader unlock, all you need ADB and fastboot files on your Windows PC and just some command to unlock it. So here in this tutorial we’ll show you how to do that. Before following this guide do take the full backup of your phone, the unlocking bootloader will wipe all data from your phone. This procedure only works on the Google Nexus 6P and don’t try on any of the android smartphones. Step 1. Open Settings > Developer options and enable USB Debugging on your device. Step 2. Now go to Developer options and click on the “enable OEM unlock”. Step 3. Download and Install the Nexus 6P Usb driver on your windows PC. Step 4. 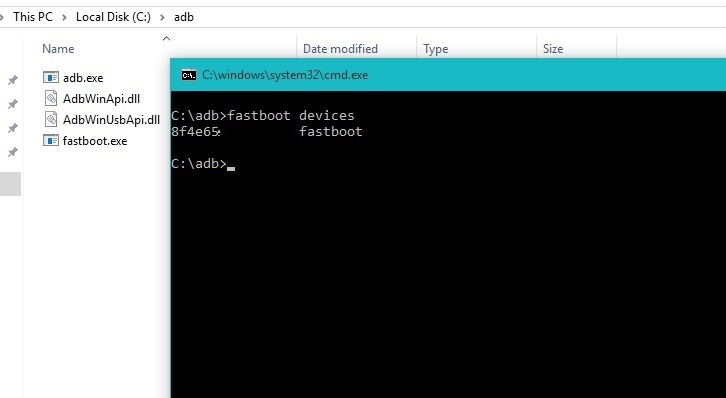 Setup the ADB and Fastboot file on yoiur PC to run the ADB commands. This will create an ADB folder on your windows C:/ Drive (C:/ADB). Step 5. Boot Nexus 6P into fastboot/bootloader mode. To do this Poser off your phone and press and hold volume down and the power button for 5-6 seconds. Now you will see the fastboot screen on your phone. Step 6. Connect your Nexus 6P to the PC with USB cable and open the ADB folder that you created in Step 4. In the folder, Hold down the Shift Keyboard button and right-click on an empty space and select “Open command window here” option to launch a command prompt window. Step 7. 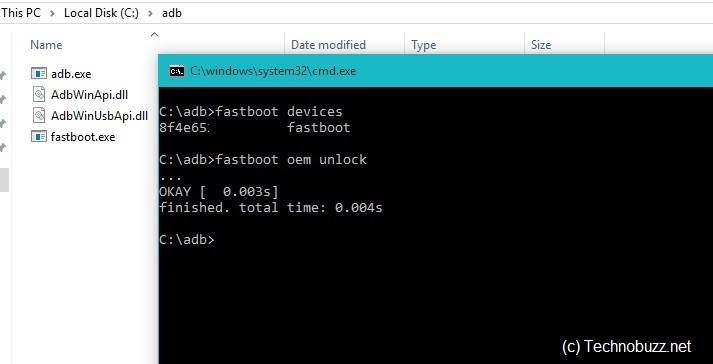 Now check your fastboot connection by issuing the following command. Now you should see a message asking you to confirm this action. Use the volume keys to scroll and the power key to confirm. Now your phone will reboot and first boot will take some time. Now your Nexus 6P bootloader is unlocked. Enjoy. Once twrp is installed through bootloader, is there any way to acces twrp directly on phone (as an app) without going in through bootloader?